Hot off the previous year’s multiple tours, the band began 2004 in the studio recording new material. While the year would yield no new B’z studio album, both Koshi and Tak would embark on respective solo projects that were yet unprecedented for both musicians. 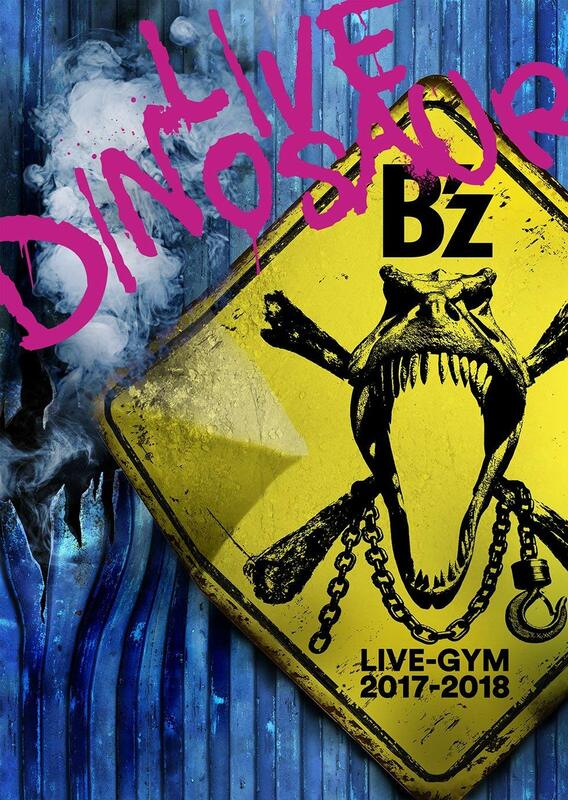 The year’s first release, however, came in the form of home video Typhoon No.15 ~B’z LIVE-GYM The Final Pleasure “IT’S SHOWTIME! !” in Nagisaen~ on February 25, 2004. 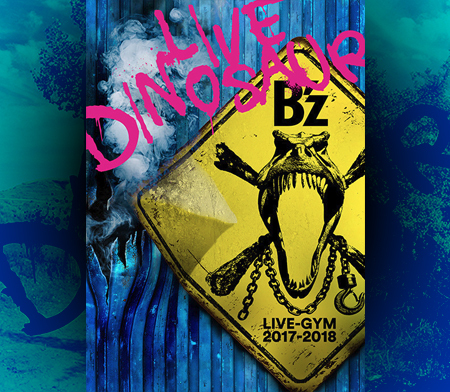 Released on DVD and VHS simultaneously, the set offered full coverage of the band’s 15th anniversary concert at Nagisaen—the very site where they had previously performed their only other open-air concert: B’z LIVE-GYM Pleasure’93 “JAP THE RIPPER”. The release also came bundled with the documentary The Days of Pleasure, documenting the hall tour and rehearsals leading up to the finale show on the band’s anniversary, along with footage of the band recording the year’s studio album BIG MACHINE. Prior to fully committing the year to solo projects, a new single entitled “BANZAI” from the earlier sessions was released on May 5, 2004. The song proved to be an immediate hit on the live stage in the years that followed, with repeated performances at various LIVE-GYMs, including 2005’s “CIRCLE OF ROCK” and 2008’s 25th anniversary tour GLORY DAYS. The supergroup’s work process was simple and played to the strengths of its members. Tak wrote all of the music and produced the album, while Eric Martin and Jack Blades—who had long been acquainted prior to the project—wrote the band’s lyrics together. The recording of the album took place in Los Angeles over the course of four months and yielded 14 songs in total. The fruits of their labors were first glimpsed by the public with the March 31 release of their debut single “OH JAPAN ~OUR TIME IS NOW~“. The release was preceded by a large press conference attended by over 100 members of the Japanese press. The band would perform on television four times during the year, including one instance in which the aforementioned single was performed with Jack Blades on vocals due to Eric Martin‘s unavailability. Ultimately, the band’s fourteen track album TMG I would be released on June 23, 2004 after having been recorded sporadically from January to May. The album debuted at number one on the Oricon Weekly Albums chart and was seen as a stellar and unique collaboration between Eastern and Western rock artists. One of Tak’s most lauded efforts of the year came in the form of a special event billed as Tak Matsumoto & Tokyo Metropolitan Symphony Orchestra Special Collaboration 2004: “Hana”. The three night event was held at Suntory Hall in Tokyo on July 18, 19, and 20 and generated universally positive acclaim. 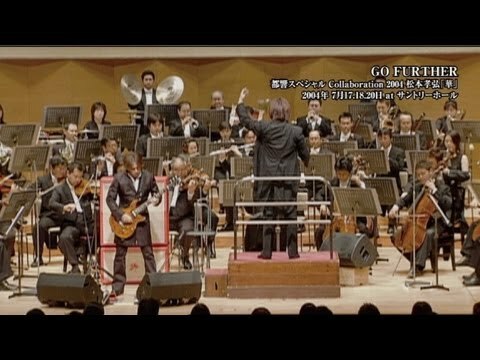 The shows began with the orchestra playing a rendition of Gershwin’s “An American in Paris” before Tak joined them on stage for a ten song setlist that spanned his entire career, including guitar-infused orchestral renditions of classic B’z songs “LOVE PHANTOM” and “Ai no Mama ni Wagamama ni Boku wa Kimi Dake wo Kizutsukenai“. Solo compositions “Koi Uta“, “Hana“, and a three-song medley of “SACRED FIELD~RED SUN~GO FURTHER” were also included. Each show came to an end following a lengthy standing ovation for Tak and the orchestra section. In September, the finale to the three-night event would be aired in its entirety during a television documentary on Perfection Choice. The program showed behind the scenes interviews with Tak and members of the orchestra as well as capturing the moment in which Tak gifted his signature guitar to the orchestra’s conductor following the final performance. Later, on November 24, 2004, Tak’s seventh solo album House Of Strings was released, featuring fourteen tracks that continued to develop the orchestra-guitar fusion that he had started with the earlier live project. Shortly after the collaboration came to an end, rehearsal began for what would be a months-long live commitment: TMG LIVE TOUR “Dodge The Bullet”. The seventeen date tour immediately proved popular with fans of all the acts involved in the group and eventually culminated in a finale at the Nippon Budokan in September. For the live shows, Chris Frazier, who had previously drummed on the B’z album BIG MACHINE, joined the band on all dates. The setlist included all but one song from their debut album and three self-covers from outside the scope of the project: “BLUE”, a solo played by Tak in the middle of the show from his 2002 solo album Hana; “(You Can Still) Rock in America” by Night Ranger, with Jack Blades on lead vocals; and an acoustic version of “To Be With You” by Mr. Big being played with all members collectively playing acoustic guitar and all contributing vocals. In the midst of the tour, TMG also made two appearances at the annual Japanese music festival SUMMER SONIC for the 2004 edition—a show at which Koshi Inaba was also performing for his own solo effort. The tour would be released on home video at the end of the year under the title Dodge The Bullet. Tak remained busy throughout the year, between his solo efforts, his commitment to TMG, and his continued collaboration with Koshi as B’z. In November 2004, Tak officially established “House of Strings”, his own music label meant to push and promote guitarists and string musicians. Although he had released solo material in years prior and had success on the charts, none of that success was accompanied by a dedicated tour. 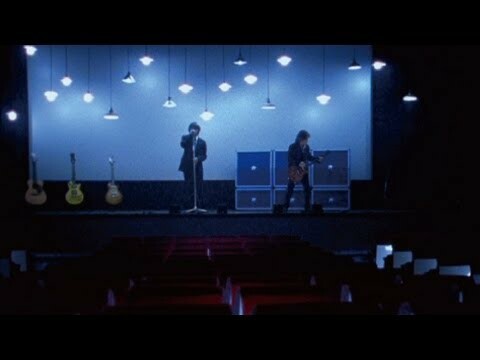 Koshi Inaba LIVE 2004 ~en~ would soon remedy this, touring from July to September of 2004 just as Tak’s TMG project would. 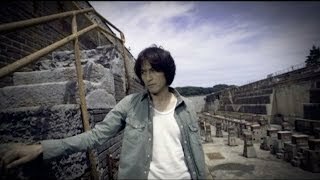 Notably, one of the support members responsible for guitar on the tour was Yoshinobu Ohga who would later become a backing guitarist for B’z beginning in 2011. Two days prior to the tour kicking off, Koshi’s third single “Wonderland” was released with three all-new tracks. Its release was accompanied by several television performances, on Music Station, HEY!HEY!HEY, Utaban, AX MUSIC TV 01, and CDTV. The single debuted at the top of the Oricon Weekly Singles chart and became the thirty-sixth highest selling single of the year. The single would feature Koshi’s first collaboration with American guitarist Stevie Salas, who would be one of his most frequent collaborators in his solo works in the years to come. Alongside the tour itself, Koshi and his supporting band also appeared at two special events, beginning with a billed appearance at THE ROCK ODYSSEY 2004. The festival saw many other notable acts, including Aerosmith, The Who making their Japanese debut, and Paul Weller. This was followed a month later by an appearance at SUMMER SONIC 04, at which Tak’s TMG group also performed at the sister location. Koshi was joined by other major artists on the bill, including Green Day and Sum 41. Unusually, Koshi Inaba LIVE 2004 ~en~ was not carried out in conjunction with a solo album release, although three otherwise unreleased songs would be performed during the tour. This did not prove an issue, however, as Koshi’s previous albums Magma and Shian in 1997 and 2002, in addition to his earlier multi-track singles “Tooku Made” and “KI“, provided a great deal of variety with which to craft the setlist. The amount of songs varied between 19 to 21 throughout the tour, with a great many swaps, combinations, and alterations being made throughout to accommodate new songs. Given this was Koshi’s first solo tour, many of the songs were seeing their first live performance of any sort. Two days after the tour concluded, his third solo album Peace Of Mind debuted at number one on the Oricon Weekly Albums Chart upon its September 22 release and featured fourteen tracks. As with all his solo works, Koshi wrote all of the lyrics and music himself, with the exception of the fourth track “Shoumen Shoutotsu“. The music for the track was co-written with Stevie Salas, with whom Koshi would strike up a close friendship. Two years later, Salas would bring in Koshi to sing a duet on an English version of the song under the translated title “Head On Collision“, which was first found on his own solo album Be What It Is. Peace Of Mind featured not only Salas but a number of international artists collaborating on its tracklist. This led to recording taking place in New York, Los Angeles, Tokyo, and Osaka. Koshi’s first year as fully-committed solo artist proved immensely successful with both a number one single and a number one album cementing his status as not just the vocalist of a renowned rock band but also a capable solo artist with even more to offer as a musician. Despite their busy schedules, Tak and Koshi continued to work on B’z projects throughout the year. On September 1, 2004, their thirty-seventh single “ARIGATO” was released. The single had been recorded in May alongside “BANZAI” and likewise debuted at the top of the Oricon Weekly Singles chart. By October, the pair had returned to the studio to record what would be their next studio album and single. 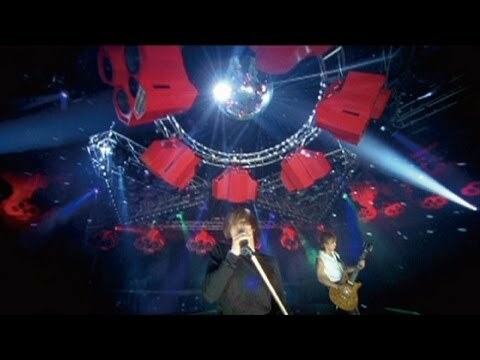 Although 2004 would be the only year to that point in which they did not join together for a dedicated live tour, B’z did reunite for an appearance on Music Station SUPER LIVE 2004 to perform “ARIGATO” in what would prove to be its only television appearance. I wonder will there be a translation of Tak’s orchestra collaboration (at least a text one). Quite an interesting video. This is something I’d like to see translated too, as the interviews in the documentary were quite thorough. This one won’t be next, but we’ll surely keep it in mind going forward. Let us know if you have any others in mind and we’ll put them on the list as well. You’re welcome! We’ll have more in time, until every year is covered leading up to the 30th anniversary.